Gavrilo Princip was a Bosnian Serb. He was a Yugoslav nationalist who assassinated Archduke Franz Ferdinand of Austria and his wife Duchess Sophia in Sarajevo on July 28th 1914. Archduke Franz Ferdinand was the heir to throne of the Austro-Hungarian Empire. The assassination led to World War 1 in which twenty million people died. Gavrilo Princip was born near the town of Bosansko Grahovo in Bosnia and Herzegovina on July 25th 1894. A Serbian secret society known as the Black Hand trained him in terrorism. In July 1914 Princip and four other revolutionaries were detailed to attack the procession of the Archduke Ferdinand on its journey through Sarajevo. In the attack Princip shot both the Archduke and his wife Sophia. 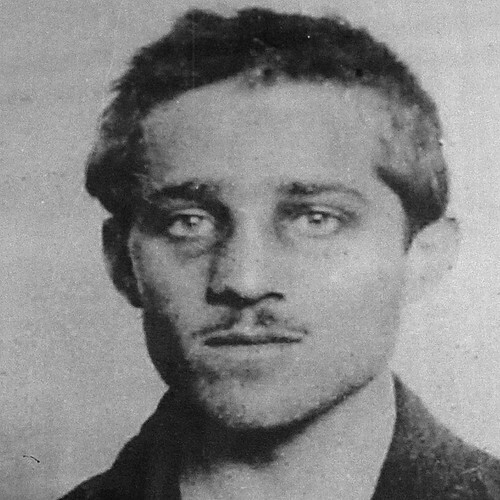 Princip was tried, found guilty and sentenced to 20 years in prison. He died of tuberculosis in prison in April 1918. Gavrilo Princip whose assassination of Archduke Ferdinand of Austria and his wife Duchess Sophie led to World War 1 died in prison in the year 1918 On This Day. Georgina Frost was a native of Co Clare, Ireland. In 1920, following a protracted legal battle, she became the first woman in either Ireland or Great Britain to hold a public office. Her success marked the beginning of employment equality for women. Thomas Frost was Clerk of the Petty Sessions (District Court Clerk) for Sixmilebridge and Newmarket-on Fergus, Co Clare. He was assisted in his duties by his daughter Georgina. On his retirement in 1915, Georgina was unanimously elected to replace by the local judiciary. The government in Dublin Castle declared the appointment of Georgina to be illegal. They stated that a government position could not be held by a woman. Georgina decided to take legal action to have the decision reversed. She began by making an appeal to the High Court in Dublin in 1917. The High Court upheld the decision of the government and Georgina then appealed the decision to the Irish Court of Appeal. She failed in her action and decided to take her case to the House of Lords in London where she won in April 1920. Her victory, though largely unnoticed in history began the process of dismantling discrimination against women in employment. Georgina Frost won her legal battle to retain her job as a public servant in the year 1920 On This Day. Fanny Blankers-Koen was a native of the Netherlands. She was an athlete who won four Gold Medals at the 1948 Olympics in London. At the time she was a mother of two young children. Her success as an athlete led her being given the nickname ‘the Flying Housewife’. Fanny Blankers-Koen was born Francina Elsje Koen in the village of Lage Vuursche in the municipality of Baarn in the Netherlands in 1918. Described as a natural athlete she competed in several sports form a young age. At the age of seventeen she set a Dutch national record in the 800m. Coached by her husband Jan Blankers she was selected for the Dutch team for the 1936 Olympics. She did not win any medals at the event but met her hero Jesse Owens. At the European Championships in 1938 Blankers-Coen won her first international medals. She also set her first world record in the 800m. The Olympic Games of 1940 and 1944 were cancelled due to World War II. In 1948 the Olympic Games were held in London. At the games Blankers-Coen won four gold medals. She became a national hero in the Netherlands and went on to win three Gold Medals in the European Championships in 1950. In 1999 she was named Female Athlete of the Century by the International Association of Athletics Federation. 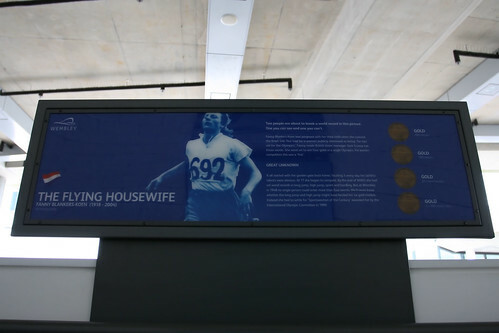 Fanny Blankers-Koen, a Dutch athlete who won four Gold Medals at the 1948 Olympics and was known as ‘the Flying Housewife’, was born in the year 1918 On This Day. Guglielmo Marconi was a Nobel Prize-winning physicist who was a native of Italy. His father Giuseppe was from Bologna, Italy. His mother was Annie Jameson from Daphne Castle, Co Wexford, Ireland. Marconi’s great grandfather was John Jameson, founder of Irish whiskey distillers Jameson & Sons. Guglielmo Giovanni Maria Marconi was born in Bologna, Italy in 1874. He received his early education at home before becoming a student at Livorno Technical Institute. As a student at the Institute he began experimenting with radio waves. Through his own research and using research carried out by others he developed the first effective system of radio communication. 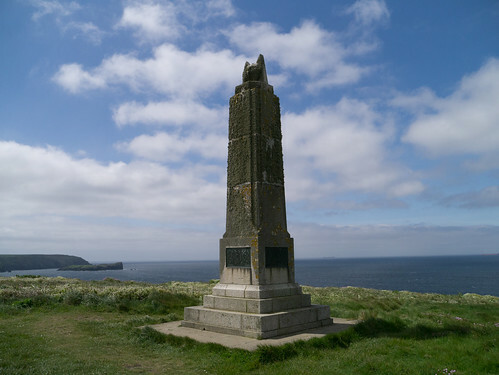 On December 12th 1901 Marconi succeeded in sending the first wireless signal across the Atlantic to America. 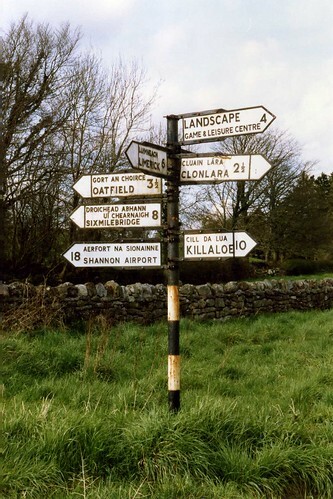 He routed the signal through Rosslare and Clifden in Ireland. He founded the Marconi Telephone Company and became a successful businessman. He continued to experiment with radio technology and died in Rome on July 20th 1937. 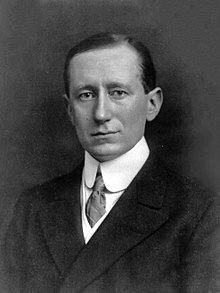 Guglielmo Marconi, who is credited with inventing the radio, was born in the year 1874 On This Day. Frederick Hall was a native of Kilkenny City, Ireland. He was awarded the Victoria Cross for gallantry in 1915. He won the award at the age of 30 for actions taken during the Second Battle of Ypres in 1915, during World War I. The Victoria Cross is awarded for ‘most conspicuous bravery, or some daring or pre-eminent act of valour or self-sacrifice, or extreme devotion to duty in the presence of the enemy’. The Victoria Cross has been awarded to 168 soldiers from Ireland, six of whom were born in Kilkenny. The citation for his award reads: ‘On 24th April, 1915, in the neighbourhood of Ypres, when a wounded man who was lying some 15 yards from the trench called for help, Company Sergeant-Major Hall endeavoured to reach him in the face of a very heavy enfilade fire which was being poured in by the enemy. The first attempt failed, and a Non-commissioned Officer and private soldier who were attempting to give assistance were both wounded. Company Sergeant-Major Hall then made a second most gallant attempt, and was in the act of lifting up the wounded man to bring him in when he fell mortally wounded in the head’. Frederick William Hall, who was a native of Kilkenny City, Ireland, was awarded the Victoria Cross for his gallantry in the Second Battle of Ypres during World War I in the year 1915 On This Day.